The National Puerto Rican Parade in New York turned into its usual boisterous celebration Sunday, but many participants also saw it as an occasion to express their more somber concerns over the devastation caused by Hurricane Maria. Ken Buffa reports. The National Puerto Rican Parade in New York turned into its usual boisterous celebration Sunday, but many participants also saw it as an occasion to express their more somber concerns over the devastation caused by Hurricane Maria. Along the parade route in the heart of Manhattan, people carried signs with tributes like "New York Stands with Puerto Rico," ''You will not be forgotten" and "Decolonize Puerto Rico." 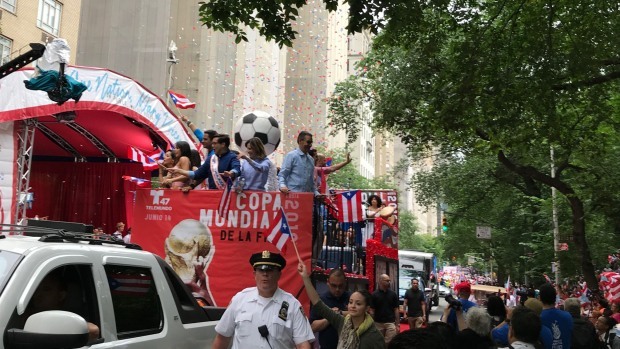 Many also waved Puerto Rican flags and danced as they made their way down Fifth Avenue. Remembering those still struggling in Puerto Rico "makes today important but it also makes it bittersweet," said Nora Ortiz. This is what the Puerto Rican Day Parade looks like from Telemundo 47's float. "We're part of the United States. 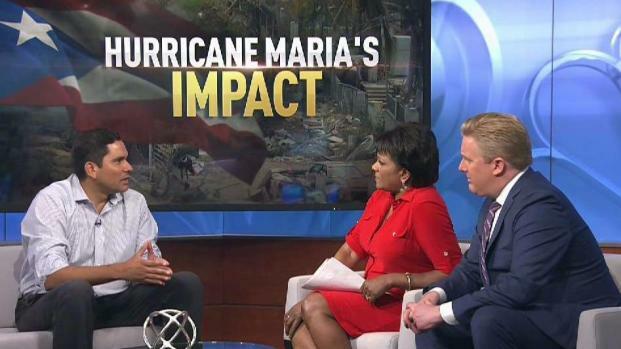 We are Americans, and I think that I came to represent the fact that no one wants to admit that almost 5,000 lives were lost in Hurricane Maria," Ortiz said. Julio Pabon led a group of demonstrators who chanted "Respect Puerto Rico" as it passed Trump Tower. They also waved flags in the direction of the luxury high-rise. "Maria unmasked that we are a colony," said Pabon, 66, of the Bronx. "I'm just tired of the way my island has been treated." Like many people, Anya Garcia showed up with her extended family. She said she's been coming to the parade since she was a toddler. "We're three generations strong here," said Garcia, 35, of Brooklyn. "I now have my daughter into it and so we'll be coming for years to go." Cuomo said the state is currently organizing a rebuilding effort using state college students and other volunteers. The governor said he had already broken the news to his children that he's taking them to Puerto Rico this summer. "They said, 'Great. We can work on our tans.' And I said, 'Not exactly. We're going to be rebuilding homes,'" he said. 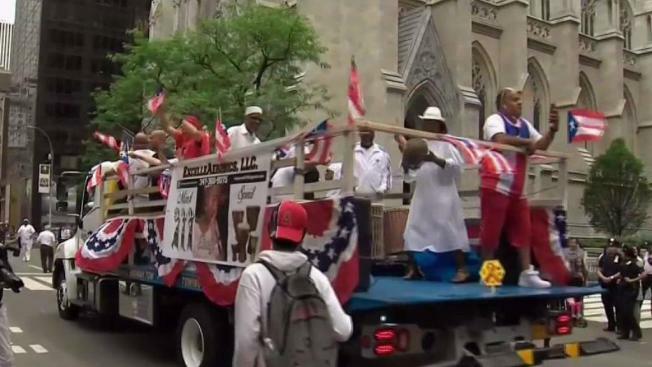 This year's parade comes a year after a controversial one, when the parade organization's decision to recognize Oscar Lopez Rivera, a former member of a militant group responsible for a series of bombings. That led some sponsors to withdraw their support and some politicians like Cuomo to decline to take part. Before the parade, Bronx Borough President Ruben Diaz Jr. had said it needed to take a political tone. He and the group he was marching planned to be in black T-shirts that reflect the Harvard study's estimate of the dead. Reporter Gaby Acevedo, in town for the Puerto Rican Day Parade, gives the inside scoop on storm recovery in Puerto Rico. "It would be a missed opportunity this Sunday ... if we don't show an act of solidarity, an act of protest, an act of defiance," he said, "to let the world know we still have a president and Congress that still has not done right by 3.5 million Americans."